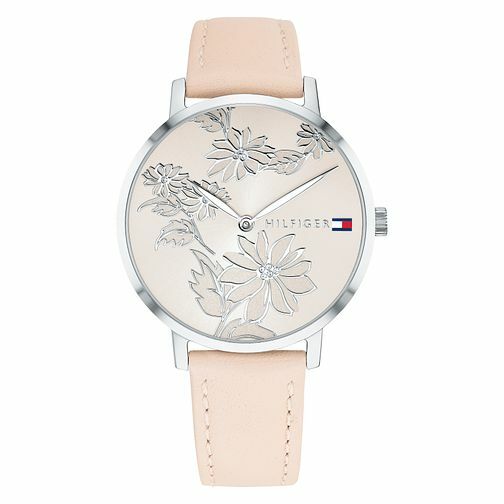 Time blooms with flower power and appeal with this ladies' Tommy Hilfiger watch, balancing subtlety with luxury. The round 35mm polished stainless steel case features a rose dial with botanical engravings and crystal accents. The blush smooth leather strap sports a custom-shaped buckle with iconic Tommy Hilfiger flag logo detailing.